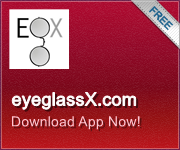 New Transitions Lenses XTRACTIVE- Progressive Digital digital lenses (polycarbonate). Progressive (no-line bifocal) Transitions 7 lenses are digital distortion-freeform technology. These photochromic, light adaptive lenses with Xtractive technology are the latest from Transitions Lenses. Lenses are semi-clear indoors & dark outside. Block 100% of harmful UV light. All lenses include free scratch guard, and perfect mounting into your frame. Every job is completed and verified by licensed opticians at our USA lab. Compared to: $659.95 retail. Don't forget anti-reflection (AR) coating treatment...just add to Cart before Check-out. *We offer a worry-free redo if needed. XTRActive lens darken in car & are extra dark outside. *Add on charge may apply for prescriptions greater than 6.00 or cylinder > 2.00. Thank you so much for doing a great job for me, really appreciate it. Now I have my husband to outfit.